"Roadmap To IoT-Based Predictive Maintenance"
Using predictive analytics to drive maintenance is what we’ve labelled “IoT-based predictive maintenance”. However, if you start by systematically implementing the steps outlined in this roadmap and strategically investing in your IoT-based Predictive Maintenance program, your organization will rise above the rest and see the benefits of the Internet of Things reflected in your bottomline. 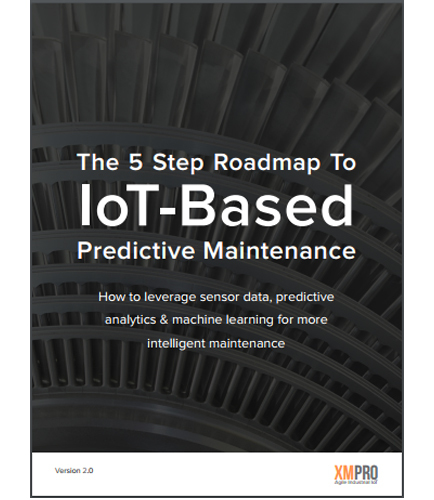 This insightful whitepaper will teach you how to leverage sensor data, predictive analytics & machine learning for more intelligent maintenance.